Communication in a social context, including: political misperceptions, digital disparities, health communication disparities, belief gaps. News and Society; New Communication Technologies. Hindman, D. (2012). Knowledge gaps, belief gaps, and public opinion about health care reform. Journalism and Mass Communication Quarterly. Hindman, D. & Yamamoto, M. (2011). Social capital in a community context: A multilevel analysis of individual- and community-level predictors of social trust. Mass Communication & Society, 14, 838-856. Wei, L. & Hindman, D. (2011). Does the digital divide matter more? Comparing the effects of new media and old media use on the education-based knowledge gap. Mass Communication & Society, 14, 216-235. Hindman, D. (2009). Mass media flow and the differential distribution of politically disputed beliefs: The belief gap hypothesis. Journalism and Mass Communication Quarterly, 86, 790-808. Hindman, D. & Wiegand, K. (2008). The Big Three’s Prime Time decline: A social and technological context. Journal of Broadcasting and Electronic Media 52, 119â135. Hindman, D. (2016, October). Listening to public radio listeners: Updating community ascertainment methods. Paper presented at the Broadcast Education Association Super-Regional 2016. Top faculty paper. Hindman, D. (2016, April). College Students and Legalized Marijuana: Knowledge Gaps andBelief Gaps Regarding the Law and Health Effects. Paper presented at the annual meeting of the Broadcast Education Association’s Research Symposium on Health and Risk, Las Vegas. Hindman, D. & Hoffman, E. (2013, November). Legalizing recreational use of cannabis: Knowledge gaps and belief gaps among young adults. Paper presented at the annual conference of the Midwest Association for Public Opinion Research, Chicago. Knight Foundation/Yakima Valley Community Foundation. Bilingual Reporting Project. 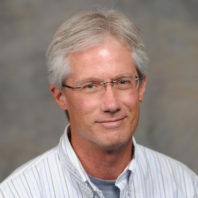 D. Hindman, Evaluation Research Sub-contractor. Carnegie-Knight Foundation. 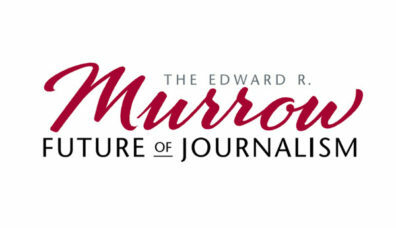 The Murrow Information Initiative: Rural Access, Digital Citizenship and the Obligations of the Washington State Information Sector. D. Hindman, research subcontractor. Adolescent and Young Adult Responses to Television Ads for Alcoholic Beverages: A Receiver-Oriented Message Analysis. WSU Alcohol and Drug Abuse Research Program Grant. D. Hindman, PI. Co-PIs E. Austin, B. Pinkleton, S. Hust, 2010. Contract research in support of sample design and analysis of a statewide assessment of tobacco sales to minors as part of Washington State Department of Health’s annual assessment in compliance with the Synar Amendment. Hust, PI. Co-PIs D. Hindman and Changmin Yan, 2010. Contract research in support of the CPB Media Innovation Fund Project. Dennis Haarsager, Gens Johnson, Jason Marsh Co PIs. Results of this research were used to create content for the Our Northwest online and broadcast media content. Hindman, D. subcontractor, 2008-9.